''Fish Farmer is the UK's leading aquaculture magazine - bringing all the latest international industry research and news to readers. 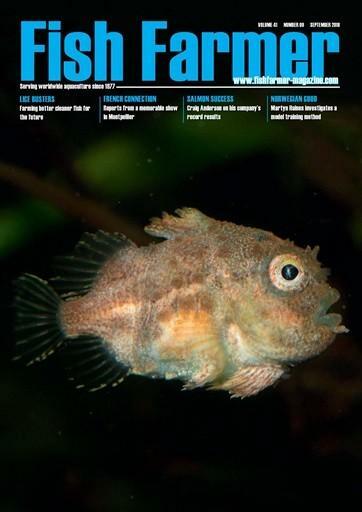 Published bi-monthly, this highly-regarded magazine has been serving the aquaculture industry for 30 years and enjoys a worldwide distribution. Established at the beginning of commercial aquaculture in the UK, Fish Farmer has documented the industry's growth into a major source of seafood for the world's consumers. Fish Farmer covers the full range of world-farmed species, from salmon and trout to scallops and seaweed. It is so highly regarded that many subscribers keep their copies as useful reference libraries, while academics vie to have their work featured in its pages, with some using 'publication in Fish Farmer' on their academic CVs'' This magazine is available on subscription only. Be the first person to tell us what you think about Fish Farmer and you'll save £2.50 on your next purchase!